It might have been only 6 minutes long but there’s a lot to unpack from Rockstar Games’ Wild West adventure. While the time of taming the Wild West has long past, Rockstar Games is bringing gamers Red Dead Redemption 2, where we’ll all be able to saddle up, strike out into the new frontier, and face the rugged terrain head-on. Before its October 26 release date, Rockstar plans to release a series of videos that introduce gamers to the world of Red Dead Redemption 2. The first trailer is already out, so let’s dive into the gritty world Arthur Morgan and crew inhabit. A cowboy’s not going to get far without his trusty steed and Red Dead Redemption 2 is going to give players a whole new level of control over their four-legged companion. 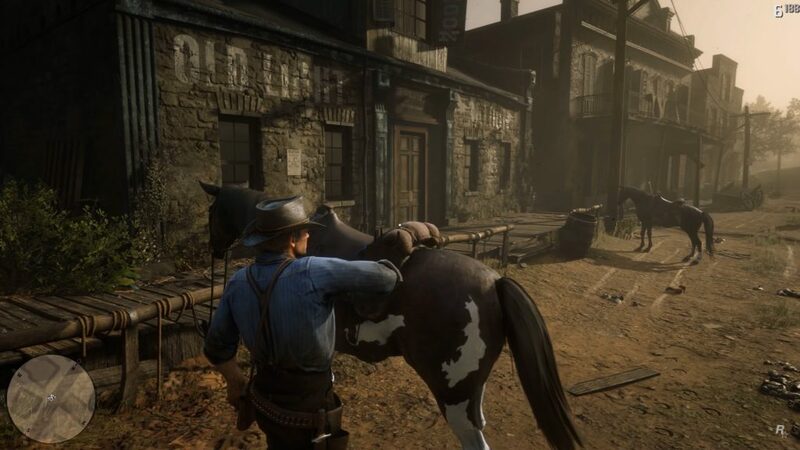 Horses won’t just be a vehicle to move between locations, instead, players will need to tend to their horses, caring for them while fostering a relationship. By caring for their horse, players will create a bond between cowboy and steed. This isn’t a simple emotional bond, as it will have a direct effect on how the horse performs in battle. 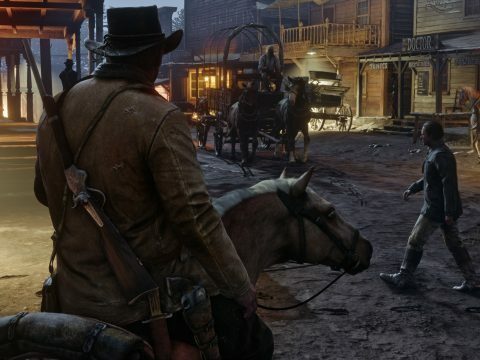 A horse that has grown to trust you will control better during gunfights, giving Arthur a distinct advantage over his enemies. Outside of caring for the horse, Arthur is able to use the saddle bag as it was intended to be used: to store goods. Pouches, weapon holsters, and other pockets can be seen being used to tuck important goods and items away for safe keeping. Even the rump of the horse is used as a means of transporting an animal carcass into town or to the gang’s campsite. 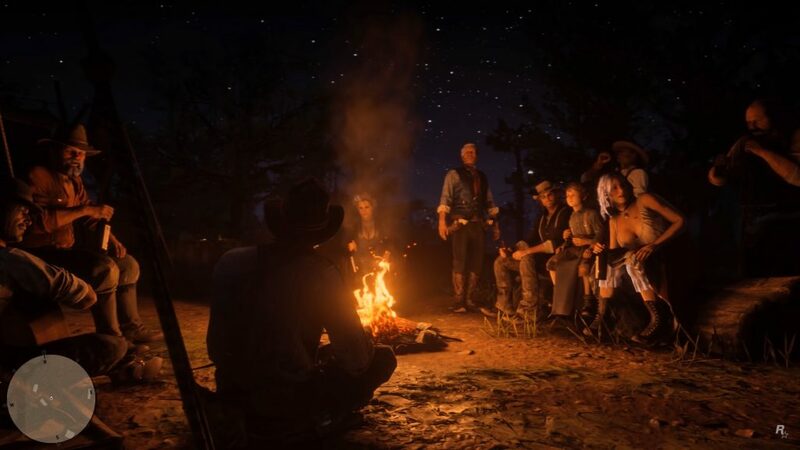 Being on the run from the law is hard work, which is why Arthur Morgan and the gang of outlaws need to settle down at the end of the day at a campsite. These campsites act as a hub for the crew, where they can relax, recuperate, and spend some time figuring out what to do next. 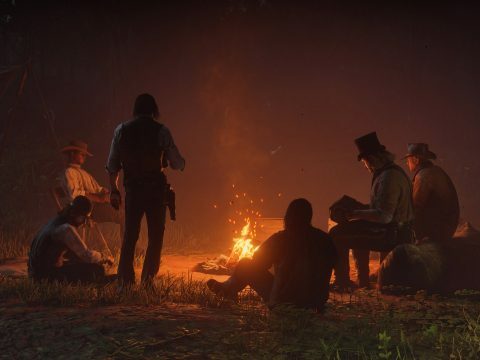 After breaking down the other Red Dead Redemption 2 trailers and seeing all the trouble the gang gets up to, these campsites will be a little paradise amidst the swirling storm of trouble. Campsites don’t have an unlimited supply of resources, which is why players are going to be tasked with helping out wherever possible. 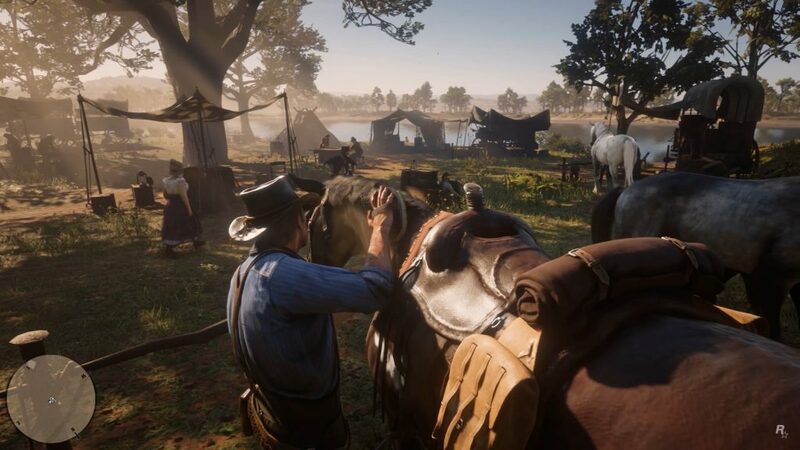 The trailer teases the different sort of activities that can be done to assist the upkeep of the camp, from hunting animals to feed everyone to speaking with members about potential new leads on robberies. 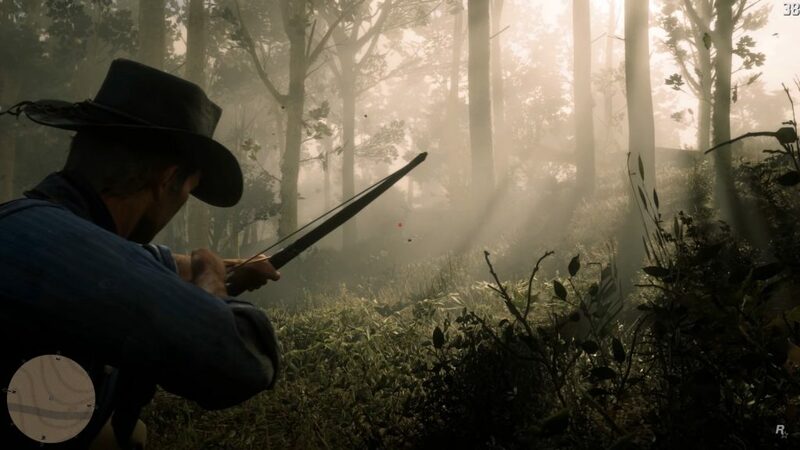 Hunting looks to be receiving an overhaul from the first game with Arthur wielding a bow and being trained by a Native American to hunt more efficiently. Any animal that gets hit but doesn’t die can be tracked using a new type of “sense” which allows players to follow a blood trail to the injured beast. Beyond hunting large game, the trailer also featured one of the best mini-games in gaming history: fishing! There is almost too much to cover when it comes to the world of Red Dead Redemption 2, and we only got to see the smallest sliver of it in the recent trailer. From bustling trading towns to fellow wanderers on their own path and even random strangers in need of help, there are seemingly hundreds of characters for players to encounter as they journey across America. Each of the towns depicted reveal a level of attention to detail that we’ve all come to expect from a Rockstar title. As Arthur gets thrown through a window a small crowd gathers in the street to watch the brawl even as a gentle drizzle rains down around them. 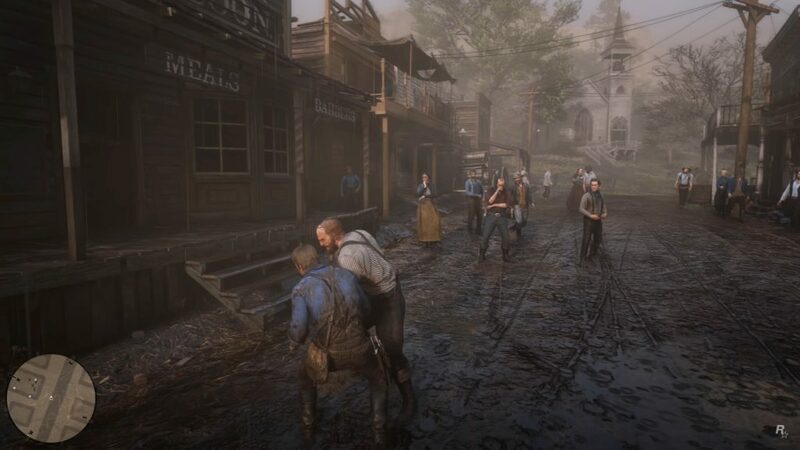 This is obviously the outcome of an interaction turned south, of which there will be many in Red Dead Redemption 2. Towns aren’t the only location players will be vising, after all, this is a game set in the Wild West. Though we don’t see much, the trailer does show us a multitude of locations including rocky mountains overlooking fog-soaked plains, swampy marshes full of mosquitos, and a cracking, dry desert full of lizards and other hardy cold-blooded animals. These places will be brimming with activity, whether that’s wild animals or equally-wild people. Part of having a living and breathing environment means being able to interact with characters in different ways, and as the trailer shows, Arthur’s choices extend beyond the usual “kill” and “don’t kill”. Players can choose to greet passers-by, ignore someone getting beaten up, or antagonize a street gang. But the world isn’t just about picking fights, it’s about taking a moment to enjoy the smaller things in life. Drinking and playing poker is a staple of the series and one of the many things we loved about the original Red Dead Redemption, but if the sequel is going to take notes from GTA 5, we could very well see more activities become available. 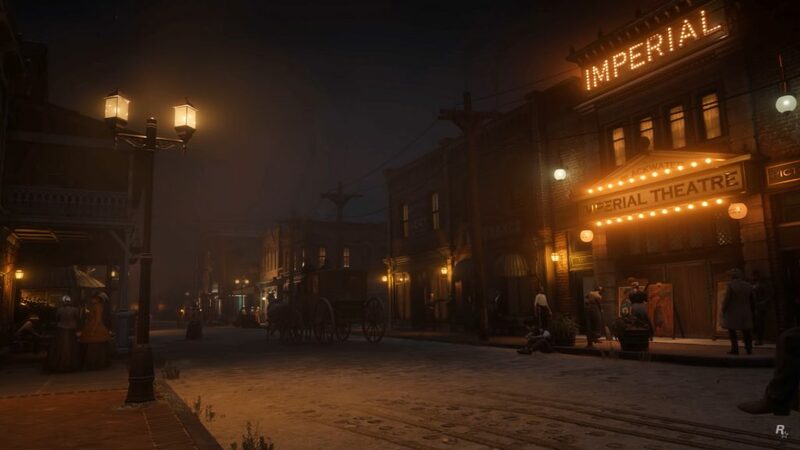 One of the towns in the trailer had its own theatre, which hopefully points to taking a fine lady out for a dinner and a play – Arthur Morgan might very well be a single fella. There are more trailers to come as Rockstar Games seeks to whet our appetites in anticipation for Red Dead Redemption 2’s release on October 26. We’ve seen the stage that has been created, and now we want to see what else we can do! 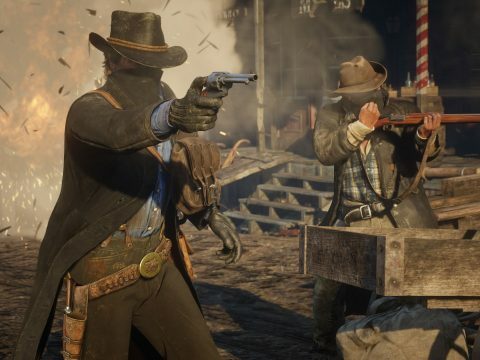 If the end of the trailer is anything to go by, expect to hear more about holding up trains, using the iconic Dead Eye system, and hunting other gangs in the near future. Let us know in the comments what you think of Red Dead Redemption 2 so far! What Is Red Dead Online And How Does Its Battle Royale Work?